New Sun is Alex Kley, D. L. Erickson, Christopher Scott, and Chris Trujillo. They are joined on this release by two guest musicians. 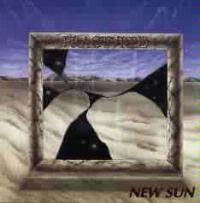 The disc can be purchased through their website at www.NewSun.com . 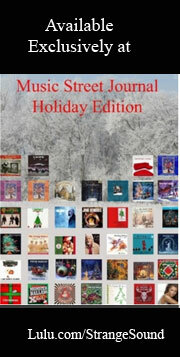 Please mention that you read about the album at Music Street Journal. This instrumental is somewhat in the mode of Rabin era Yes with a bit harder edge. Combining elements of the previous cut with more typical prog metal (ala Iron Maiden and Queensryche), this cut is a slower number that features drum work quite reminiscent of Neil Peart`s. A very intriguing and exotically beautiful instrumental break brings an almost surreal texture to the cut. Featuring a rather funky, almost jazz-laden rhythm section (at times), this tune also is based on solid Rycheian leanings. The instrumental break is very progish, combining elements of older Rush, Kansas and King Crimson. Balladic textures begin this piece, another strong prog metal cut. This is a slow paced number with an emotional texture. Another strong prog metal cut, but not really a standout, this one feature a female guest vocal segment. Rather quirky prog metal, this is an interesting piece. 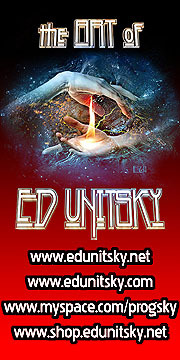 A Rycheish type of song with serious old Rush elements, this is a dynamic piece containing lots of inherent contrast. Textural and haunting tones with the sound of wind begin this piece. The cut is a metal ballad with quite a lot of emotion. The number features a Rushish instrumental break. Quirky prog metal, this one includes slight elements of such bands as The Fixx. A song that is essentially more quirky prog metal, this one contains additional Rush influences.